Home › Electronics › Selfie Stick Bluetooth Free Versiontech Wired Monopod Tripod Built-In Remote ..
Selfie Stick Bluetooth Free Versiontech Wired Monopod Tripod Built-In Remote ..
EASY TO USE: Plug and play feature. Never worry about battery life and the hassle of Bluetooth connection issue. 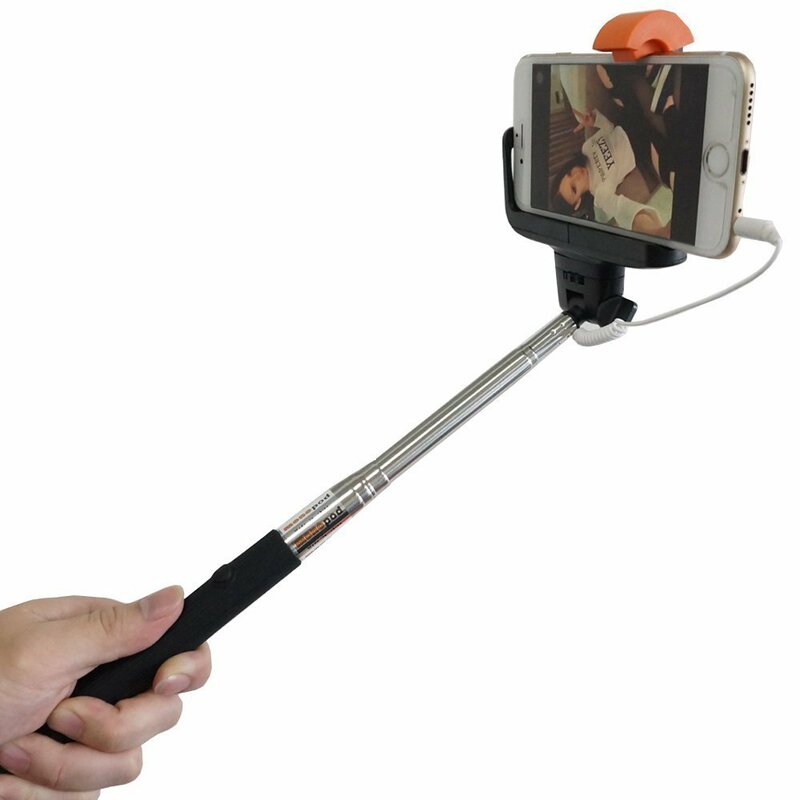 Just connect your phone to the jack and take photos instantaneously! WELL COMPATIBILITY: Work with Apple iPhone in all series and most Android smartphone in the market! PHOTOGRAPHER: 7 extensible sections up to 40 inch length extension, 270-degree adjustable head and OnetTouch shutter ensure you to find a best & beautiful angle either in self-timer or photographing at ease. TRAVEL SIZE: Approx 4 oz,9 inch. Detachable design make it more convenient for travel or outdoor activities purpose, just invisible in your bag. WITH WARRANTY: 45 day money back and 1 year product warranty.